At Coastal Home Inspectors, we focus on the complete satisfaction of every customer. Home Inspection Fort Myers FL is critically important whether you're buying, building or selling a home. Understanding your home's systems and constituent, are essential when it comes to purchasing, repair, and maintenance. Coastal Home Inspectors have the technical knowledge and conventional training in all aspects of the home. That's why hiring state licensed professionals such as Coastal Home Inspectors is so important. Coastal Home Inspectors have performed accurately thousands of Home Inspection Fort Myers FL. We consistently mention by the area’s top selling real estate agents, insurance agents, and attorneys. The purchase of a new home may be the largest single financial investment you will ever make. The process is exciting but can quickly become stressful if you are unsure of the true condition of the house. A Home Inspection is a limited, non-offensive examination of the condition of a home, often from the sale of that home. Home Inspection is usually conducted by a home inspector who has the training and certifications to perform such home inspections. 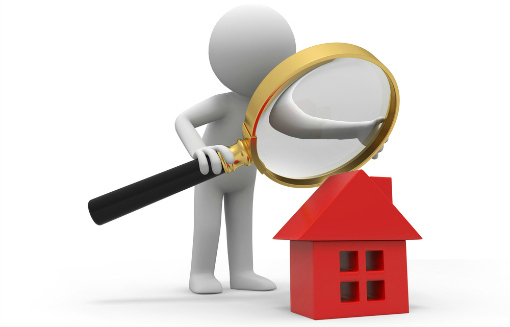 The home inspector will describe the condition of the home at the time of inspection. Coastal Home Inspectors use the best home inspection software on the market. All our Home Inspections are performed with the newest technology using our smart tools. A Home Inspection Fort Myers FL is an inexpensive way to discover the universal condition and the hidden faults of a home. Before you buy a home, one of the things you should do is to have the home checked out by a professional Coastal Home Inspectors. It is important to conduct a Home Inspection Fort Myers FL to avoid a costly mistake by purchasing a property in need of major repairs. The Coastal Home Inspectors will describe the structure, exterior, roof, electrical, plumbing, interior, insulation, and ventilation. Coastal Home Inspectors typically provide Home Inspection Fort Myers FL services to determine the performance of the home. If you need a thorough, accurate Home Inspection Fort Myers FL. A Coastal Home Inspectors company can offer you peace of mind and help make it a seamless process. When you buy a new home, it should be professionally inspected by Coastal Home Inspectors as early as possible in the buying process can save your dollars due to unknown doubtless serious defects and repairs. Coastal Home Inspectors are trusted by home buyers to assist them in making informed decisions. Once the home inspection is complete, Coastal Home Inspectors will provide you a detailed report complete with specific recommendations to correct or monitor any significant deficiencies that exist at the time of the inspection, as well as helpful tips on maintaining your home.